Born on this date: 1912 – Barbara W. Tuchman, 1924 – Lloyd Alexander, 1931 – Allan W. Eckert, 1935 – Richard Brautigan, 1941 – Gregory Benford, 1955 – Judith Tarr. 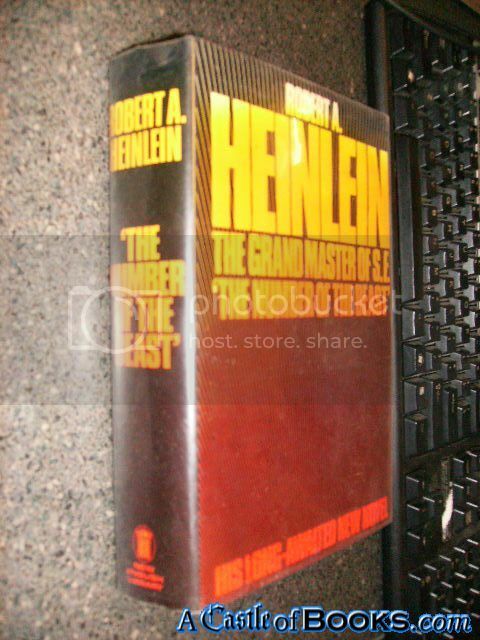 "http://www.abebooks.com/servlet/SearchResults?bi=0&bx=off&ds=30&recentlyadded=all&sortby=17&sts=t&vci=52198635&tn=The Number of the Beast - True First Edition"
Born on this date: 1873 – Colette, 1959 – Megan McDonald. "http://www.abebooks.com/servlet/SearchResults?bi=0&bx=off&ds=30&recentlyadded=all&sortby=17&sts=t&vci=52198635&tn=Mobilier alsacien (French Edition) "
Postal rates went up, took all day to adjust online listings. Born on this date: 1832 – Lewis Carroll, 1836 – Leopold von Sacher-Masoch. 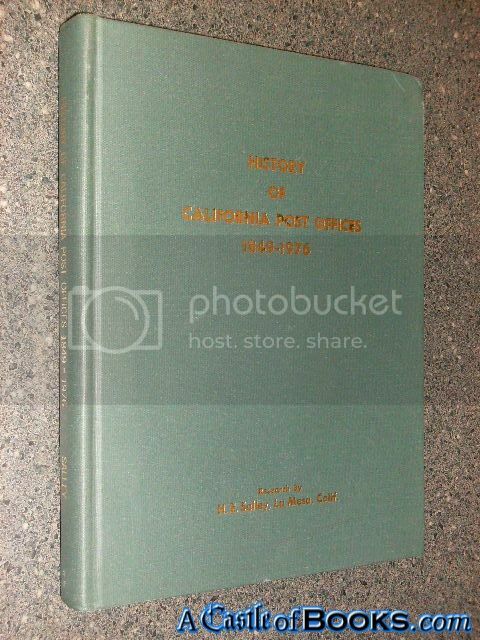 "History of California Post Offices, 1849-1976 Includes branches and stations, Navy numbered branches, highway and railway post offices"
"http://www.abebooks.com/servlet/SearchResults?bi=0&bx=off&ds=30&recentlyadded=all&sortby=17&sts=t&vci=52198635&tn=History of California Post Offices, 1849-1976 Includes branches and stations, Navy numbered branches, highway and railway post offices"
Shelved a box of kids chapter books. Born on this date: 1874 – W. Somerset Maugham, 1882 – Virginia Woolf, 1905 – Margery Sharp. 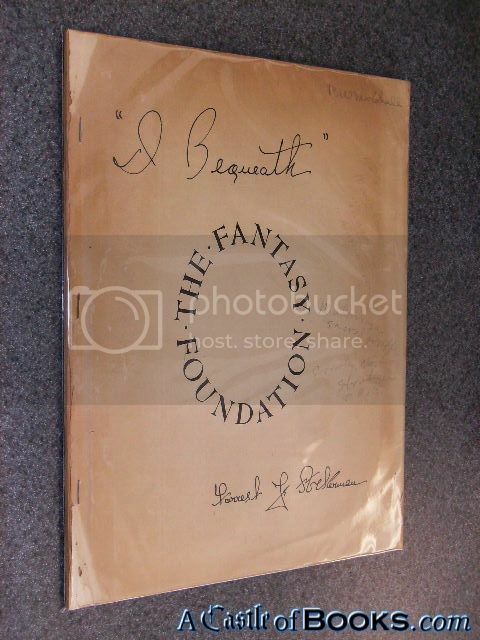 "I Bequeath'' The Fantasy Foundation "I, Forrest J. Ackerman, being of imaginative mind, bequeath to the Fantasy Foundation, upon my demise, my 1300 fantasy books" (4 July 46)"
"http://www.abebooks.com/servlet/SearchResults?bi=0&bx=off&ds=30&recentlyadded=all&sortby=17&sts=t&vci=52198635&tn=I Bequeath'' The Fantasy Foundation "I, Forrest J. Ackerman, being of imaginative mind, bequeath to the Fantasy Foundation, upon my demise, my 1300 fantasy books" (4 July 46)"
Purchased & traded for three collections one right after the other, lots of kids picture books, ya novels, hardcover novels, more. Born on this date: 1783 – Stendhal, 1923 – Walter M. Miller, Jr..
"http://www.abebooks.com/servlet/SearchResults?bi=0&bx=off&ds=30&recentlyadded=all&sortby=17&sts=t&vci=52198635&tn=Chinese Opera Watercolors: Guo ju ren wu shui cai hua"
Purchased a tub of comics, a few older items, a stack of more recent Disney & Archie titles. Shelved a small box of mostly modern recent DC comics. Born on this date: 1906 – Robert E. Howard, 1937 – Joseph Wambaugh. 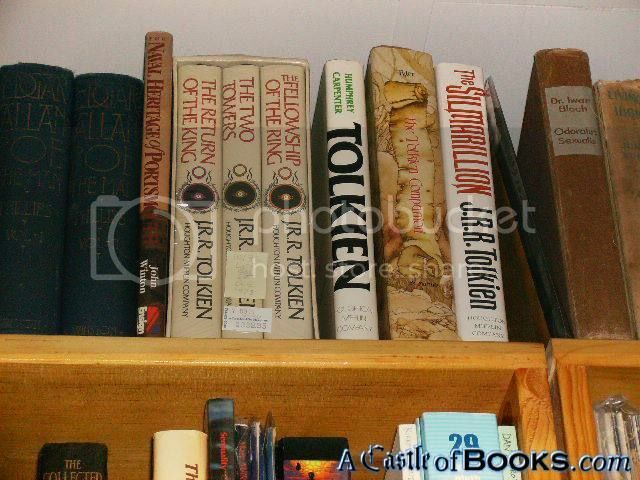 "THE LORD OF THE RINGS Trilogy Boxed Set Comprising The Fellowship of the Ring, The Two Towers, The Return of the King"
"http://www.abebooks.com/servlet/SearchResults?bi=0&bx=off&ds=30&recentlyadded=all&sortby=17&sts=t&vci=52198635&tn=THE LORD OF THE RINGS Trilogy Boxed Set Comprising The Fellowship of the Ring, The Two Towers, The Return of the King"
The phone was down all morning, but is working again now. Shelved a stack of Military Model kits, a Signed Ansel Adams book, and a few other books. 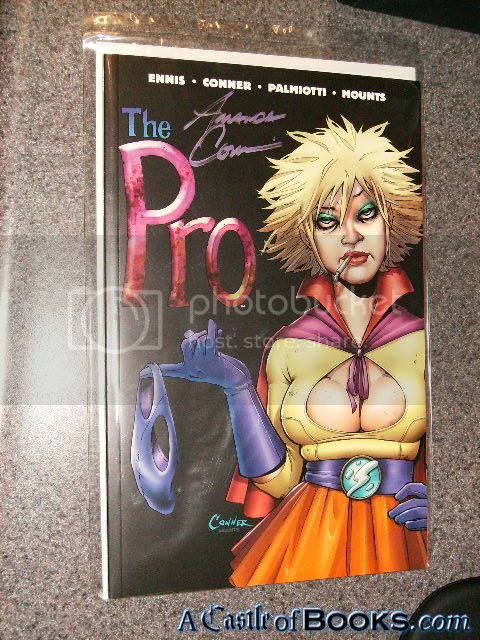 Born on this date: 1948 – Nancy Kress, 1959 – Tami Hoag, 1959 – R.A. Salvatore. 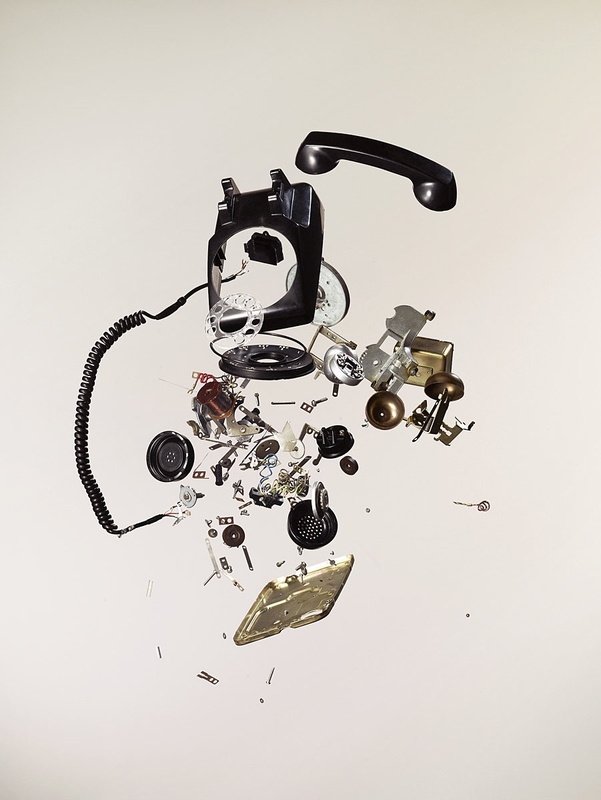 "The History of the Psychoanalytic Movement. 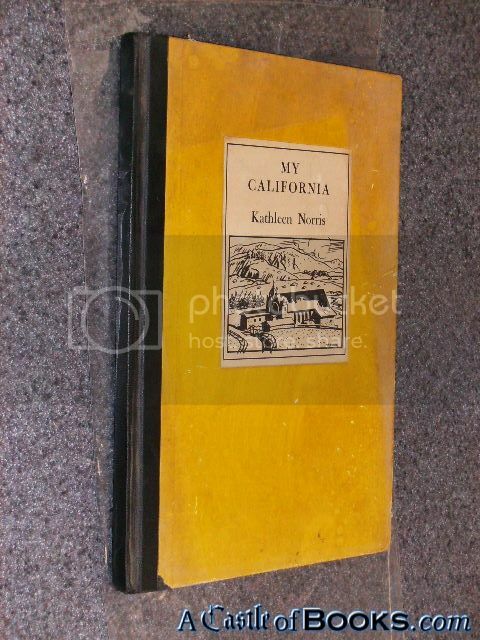 Nervous and Mental Disease Monograph Series, No. 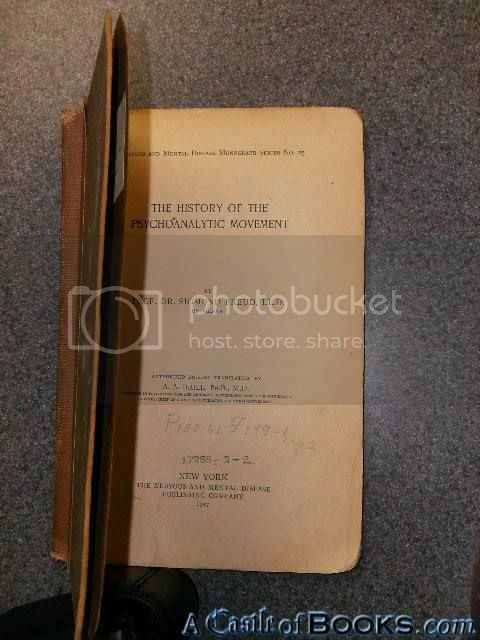 25"
"Prof. Dr. Sigmund Freud, LL.D of Vienna; Authorized English translation by A. A. Brill, Ph.B., M.D." "http://www.abebooks.com/servlet/SearchResults?bi=0&bx=off&ds=30&recentlyadded=all&sortby=17&sts=t&vci=52198635&tn=The History of the Psychoanalytic Movement. Nervous and Mental Disease Monograph Series, No. 25"
Several donations, even some Vinyl. Born on this date: 1882 – A. A. Milne, 1932 – Robert Anton Wilson. Born on this date: 1820 – Anne Brontë, 1899 – Nevil Shute. 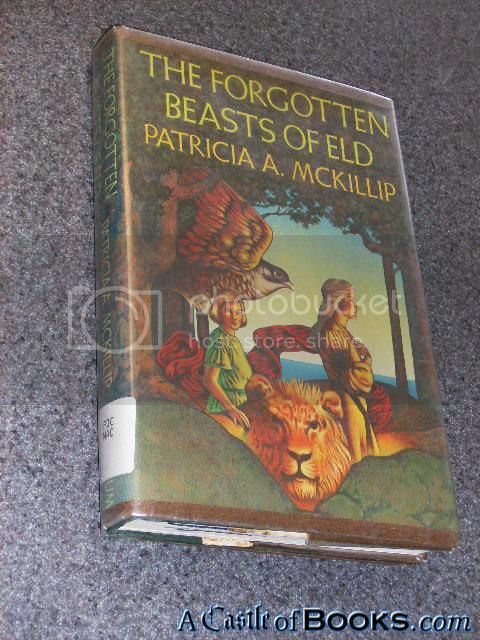 "http://www.abebooks.com/servlet/SearchResults?bi=0&bx=off&ds=30&recentlyadded=all&sortby=17&sts=t&vci=52198635&tn=The Forgotten Beasts of Eld (1st)"
Shelved a few Stage Magic books, and some Art books, and a stack of various non-fiction. Born on this date: 1935 – Robert Silverberg. 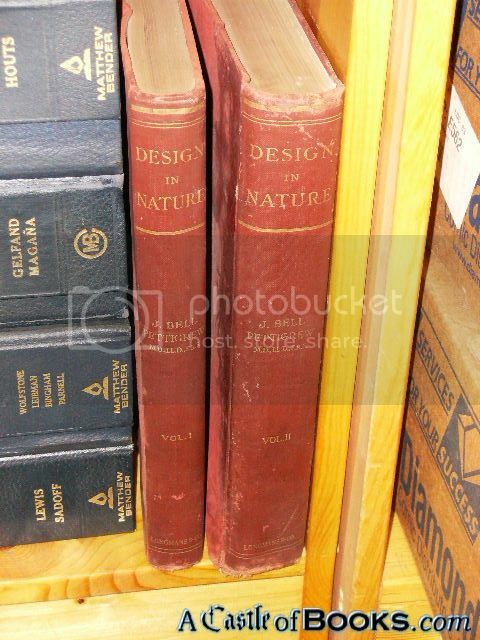 "http://www.abebooks.com/servlet/SearchResults?bi=0&bx=off&ds=30&recentlyadded=all&sortby=17&sts=t&vci=52198635&tn=Design in Nature Volume I (1)"
Born on this date: 1886 – Hugh Lofting, 1896 – John Dos Passos, 1921 – Kenneth Bulmer, 1948 – John Lescroart, 1950 – Arthur Byron Cover. 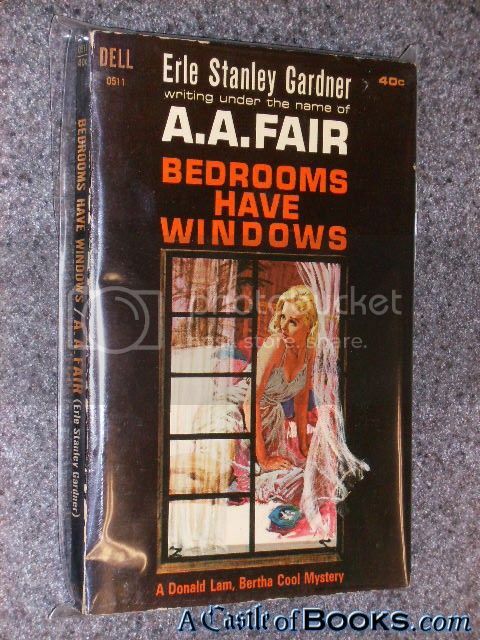 "http://www.abebooks.com/servlet/SearchResults?bi=0&bx=off&ds=30&recentlyadded=all&sortby=17&sts=t&vci=52198635&tn=Bedrooms Have Windows (a Donald Lam/Bertha Cool mystery) 0511"
Shelved several Sherlock Holmes books. 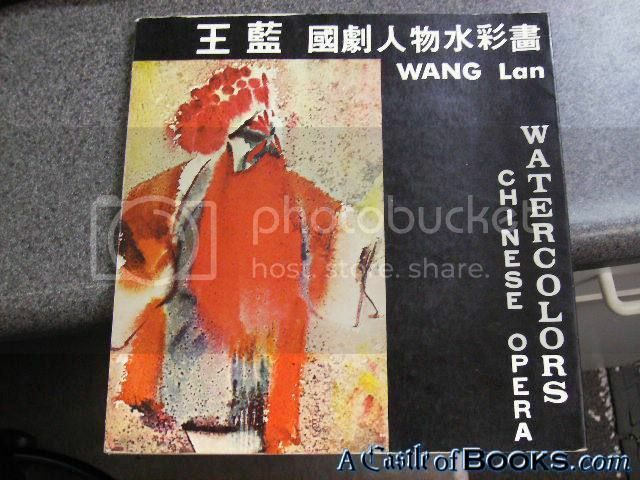 Quite a stack of coffee table books out to the $1.00 table. Purchased a stack of vintage books, and picked up 5 boxes of donations. 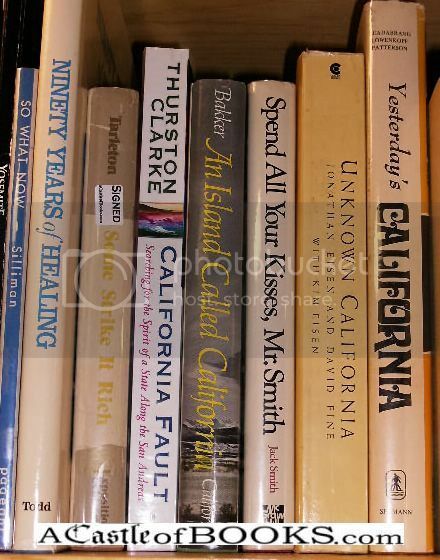 Born on this date: 1832 – Horatio Alger, Jr., 1893 – Clark Ashton Smith, 1926 – Michael Bond. 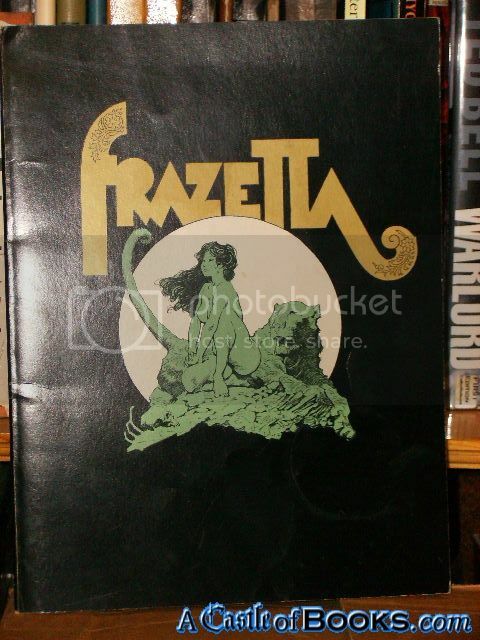 "http://www.abebooks.com/servlet/SearchResults?bi=0&bx=off&ds=30&recentlyadded=all&sortby=17&sts=t&vci=52198635&tn=Frank Frazetta: The Living Legend"
Purchased a large stack of non-fiction hardcover books. Born on this date: 1628 – Charles Perrault, 1876 – Jack London, 1949 – Haruki Murakami, 1952 – Charles Faulkner, 1952 – Walter Mosley. "http://www.abebooks.com/servlet/SearchResults?bi=0&bx=off&ds=30&recentlyadded=all&sortby=17&sts=t&vci=52198635&tn=*Signed* Yestermorrow: Obvious Answers to Impossible Futures"
Born on this date: 1918 – Robert C. O'Brien, 1923 – Jerome Bixby, 1943 – Jim Hightower, 1952 – Diana Gabaldon, 1961 – Jasper Fforde. 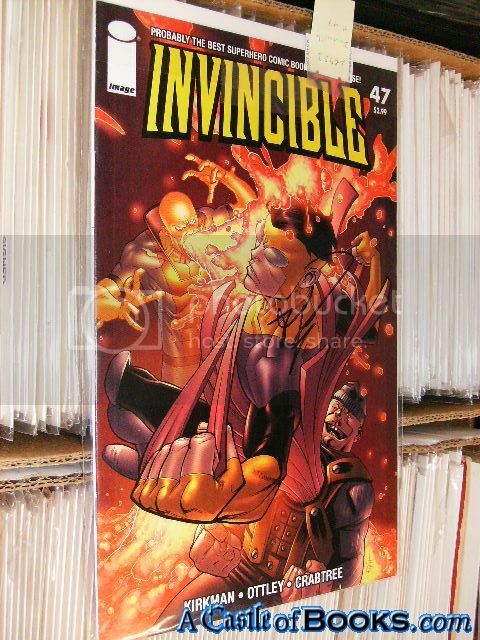 "http://www.abebooks.com/servlet/SearchResults?bi=0&bx=off&ds=30&recentlyadded=all&sortby=17&sts=t&vci=52198635&tn=*Signed* Invincible #47 (Image Comics)"
Born on this date: 1883 – Aleksey Nikolayevich Tolstoy, 1936 – Stephen E. Ambrose, 1947 – George Alec Effinger, 1961 – Steve Hamilton. 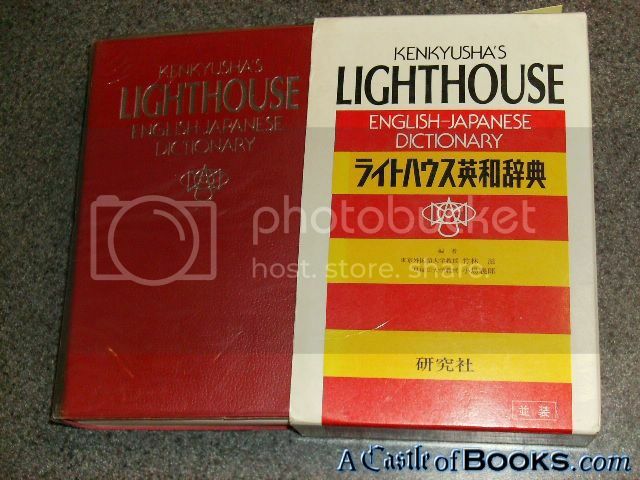 "http://www.abebooks.com/servlet/SearchResults?bi=0&bx=off&ds=30&recentlyadded=all&sortby=17&sts=t&vci=52198635&tn=Kenkyusha's Lighthouse English-Japanese Dictionary (English and Japanese Edition)"
Well someone swiped the entire box of kids books last night, guess we won't bother to put kids books on the discount table anymore. Born on this date: 1890 – Karel Čapek, 1928 – Judith Krantz, 1931 – Algis Budrys, 1933 – Wilbur Smith, 1936 – Anne Rivers Siddons, 1938 – Stuart Woods, 1942 – John Dunning, 1954 – Philippa Gregory. 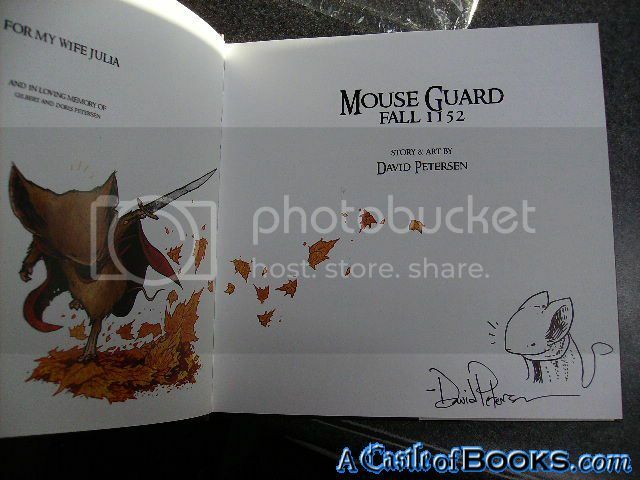 "http://www.abebooks.com/servlet/SearchResults?bi=0&bx=off&ds=30&recentlyadded=all&sortby=17&sts=t&vci=52198635&tn=*Signed* Mouse Guard V1: Fall 1152 remarqued (1st)"
Shelved about four boxes of books, almost a box of them kids picture book, and young adult chapter books, the rest where mostly hardcover non-fiction in a variety of subjects. Born on this date: 1824 – Wilkie Collins, 1897 – Dennis Wheatley, 1934 – Alexandra Ripley, 1942 – Stephen Hawking, 1944 – Terry Brooks. Born on this date: 1891 – Zora Neale Hurston, 1925 – Gerald Durrell, 1928 – William Peter Blatty, 1936 – Hunter Davies. 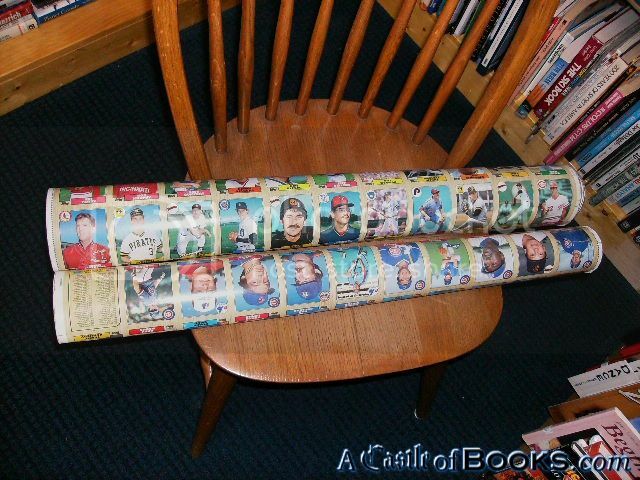 "http://www.abebooks.com/servlet/SearchResults?bi=0&bx=off&ds=30&recentlyadded=all&sortby=17&sts=t&vci=52198635&tn=1987 Topps Baseball Cards 2 Uncut Sheets"
Culled out the religion, diet, & parenting sections, lots of $1.00 books out on the discount table. Purchased another stack of DVD's - they're all shelved, mostly action, some Science ficiton/horror. Born on this date: 1931 – E. L. Doctorow. 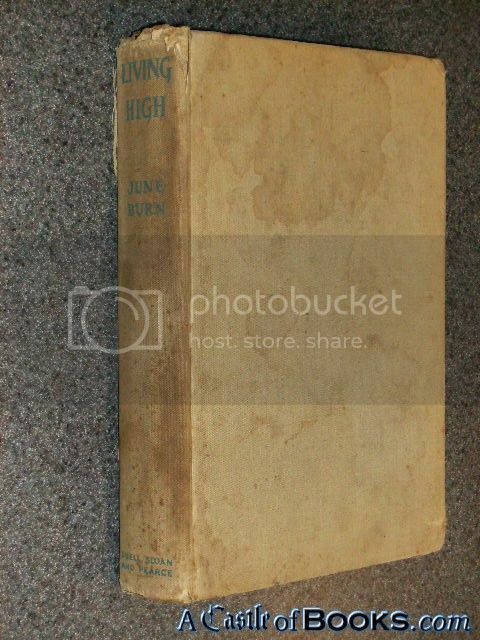 "http://www.abebooks.com/servlet/SearchResults?bi=0&bx=off&ds=30&recentlyadded=all&sortby=17&sts=t&vci=52198635&tn=Living High: An Unconventional Autobiography (1st)"
Filled the discount table, some philosophy books, lots of $1.00 & 25¢ VHS movies. Marked a pile of comics down & filled the 25¢ comic box, and front spinners. Purchased some D&D books, and a few music books, and a couple of kids books, amongst the 10 boxes of books that came in & were donated today. 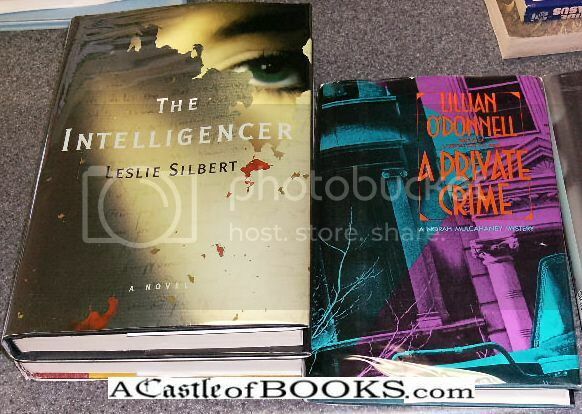 Born on this date: 1785 – Jacob Grimm, 1933 – Phyllis Reynolds Naylor, 1962 – Harlan Coben. "http://www.abebooks.com/servlet/SearchResults?bi=0&bx=off&ds=30&recentlyadded=all&sortby=17&sts=t&vci=52198635&tn=*Signed* The Singular Pilgrim: Travels on Sacred Ground"
Born on this date: 1920 – Isaac Asimov, 1956 – Lynda Barry. 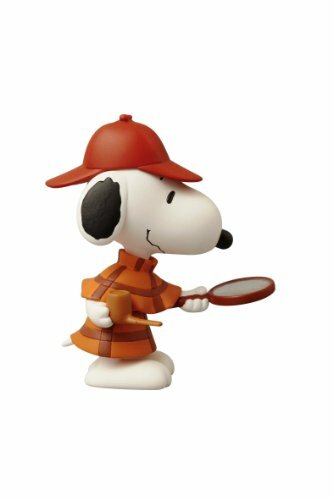 Born on this date: 1879 – E. M. Forster, 1919 – J. D. Salinger, 1935 – B. Kliban, 1949 – Olivia Goldsmith. 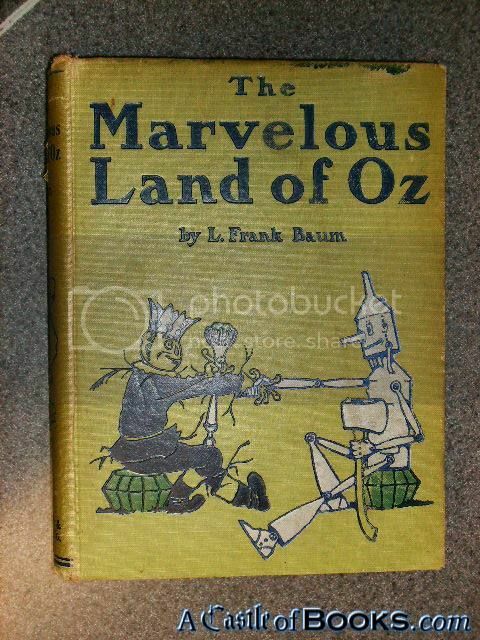 "http://www.abebooks.com/servlet/SearchResults?bi=0&bx=off&ds=30&recentlyadded=all&sortby=17&sts=t&vci=52198635&tn=The Marvelous Land of Oz (1st) (2nd State)"